Just Listed :: Beautiful Alpharetta Traditional! Welcome home! 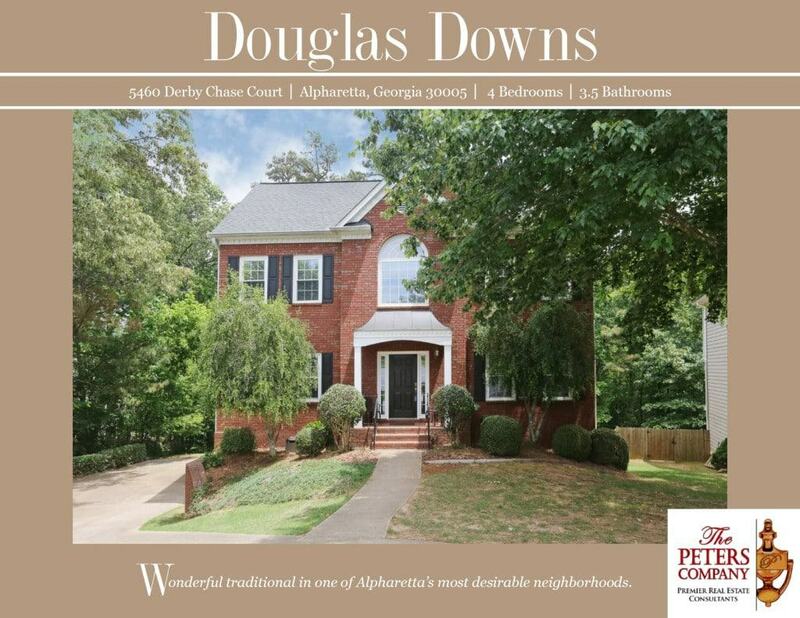 Nestled on a quiet cul-de-sac in the popular Douglas Downs neighborhood, this home is just what you’ve been looking for. The flowing floor plan, custom features, and charming character will never go out of style. The close proximity to GA400, McGinnis Ferry Road, and Jones Bridge Road makes it convenient to and from any direction. Being in this popular area of Alpharetta also means you can enjoy many nearby parks, restaurants, and shopping spots! Highly sought after school district includes Lake Windward Elementary, Taylor Road Middle, and Chattahoochee High! · Spacious kitchen features ample cabinet space with updated hardware, granite countertops, breakfast bar, pantry, and breakfast area wit bay window. · Family room boasts plenty of natural light and a cozy fireplace with brick surround. · Separate dining room with trey ceiling is perfect for entertaining guests or hosting holiday gatherings. · Formal living room is ideal for a home office or study. · Gleaming hardwood floors are carried throughout the main level, stairs, and second floor landing. · Master suite is a true retreat including a trey ceiling, sitting area, and walk-in closet. · Master bathroom features dual vanities, garden tub, and separate shower. · Additional bedrooms are well-sized and bright. · Finished basement has a large living area/4th bedroom and full bathroom. · Two car garage easily fits vehicles with extra storage space. New garage doors were recently installed. · A large deck overlooking the backyard is perfect for outdoor enjoyment and entertaining. · Wonderful location convenient to shopping and restaurants. · Access to membership at popular Windward swim/tennis club.